Do not upgrade your system to the latest OS X 10.11 El Capitan when working with HDLink devices. 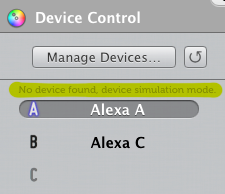 Blackmagic Design hasn’t updated the drivers to sustain compatibility with OS X 10.11 yet. control the selected one with the color controls independently. 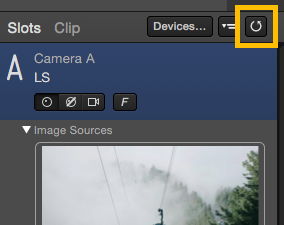 Press the Reload button besides the “Manage Devices…” button to search for devices. Can you control each of the devices alone (without the others attached via USB)? You can check this either with LiveGrade or the HDLink utility from Blackmagic. Do this to rule out the possibility of a broken USB cable etc. Can you blink each of the devices from LiveGrade? Open the device manager and press the “Blink” button for each of the attached devices. The monitor should display a sequence of red, green, and blue. If yes, LiveGrade detected and properly controls the device. Is each of the devices connected to a slotin the device manager? Make sure each device is attached to a different slot. NOTE: If the LUT isn’t applied to SDI-out at all, you might have an old firmware installed on the HDLink device. Some older firmware versions don’t allow LUTs on all outputs. Please make sure your HDLink device is running the latest firmware. power-cycle the HDLink (remove power and all other cables for more than 10 seconds).